Situated on a 1.6 hectare site in District 9. The latest luxury residential development in the posh Robertson Quay neighbourhood. The Home within a Botanic Garden in District 9 with an arboretum of native trees and vegetation, occupying 80% of the land area. The convenience of being in close proximity to popular areas such as the CBD, Marina Bay and Civic District. In close proximity are reputable educational institutions like River Valley Primary School, Singapore Management University and various international schools. It is also well connected to other parts of Singapore by major arterial roads and the Central Expressway. The higher floors of the luxury condominium development is expected to enjoy vantage views of the city and Marina Bay. 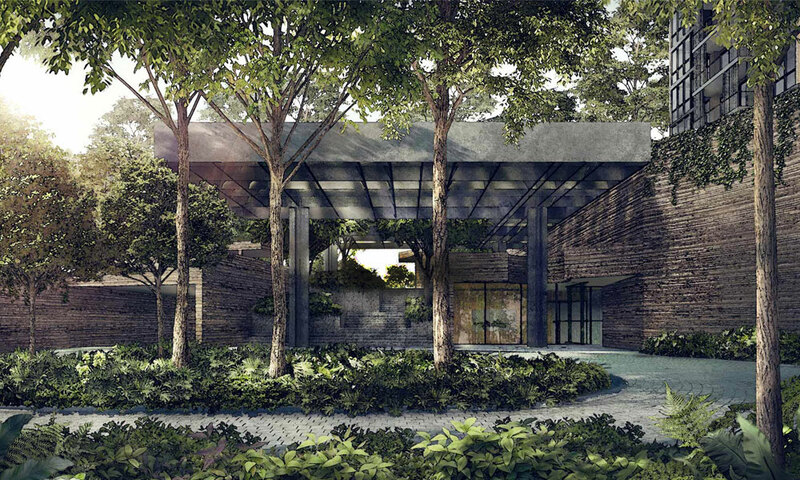 The master architect, Yip Yuen Hong from iPli Architects is a four time President’s Design Award winner.